What makes a brand distinctive in a competitive marketplace? A bold, passionate brand story! The pros at myCUmortgage had the mortgage solutions, technology, and expertise to provide credit unions with the ability to get more members into new homes, but felt their message wasn’t resonating with potential partners. To grow their business, myCUmortgage needed a compelling way to share who they were with the world. 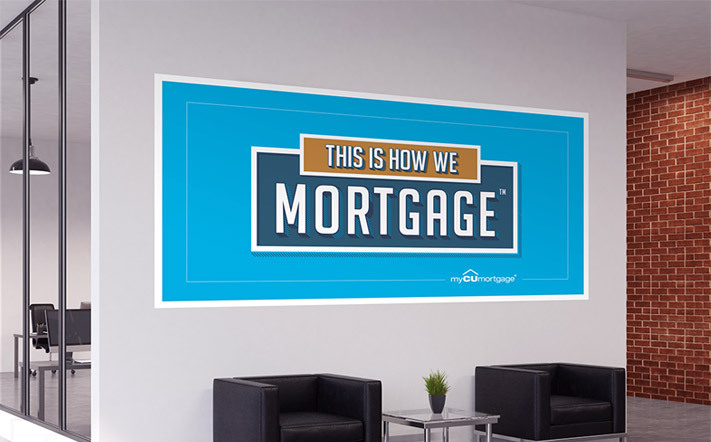 We worked with myCUmortgage to develop an integrated branding program that would build strategic differentiation for their brand and ultimately lead to new growth. To achieve this, our team led an extensive discovery process with the myCUmortgage team. Over the course of several months, we spoke with myCUmortgage leadership, team members, and partner credit unions to complete a detailed brand assessment. With these insights in hand, we developed a unique, consistent voice and design for the brand. This new look and feel defined the core of who myCUmortgage is and distilled what they wanted to be known for: experts obsessed with the American dream of homeownership. 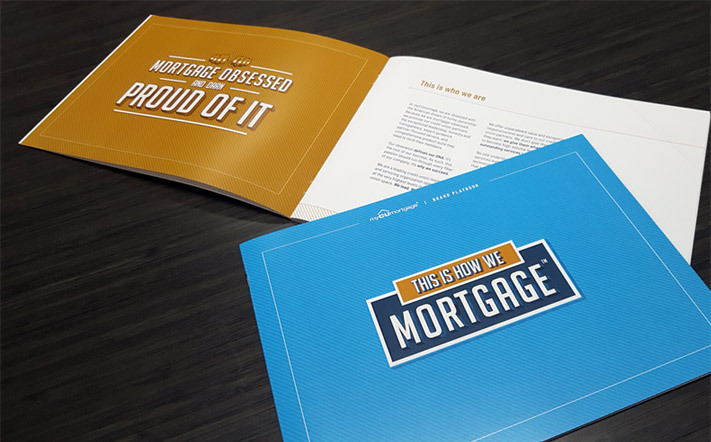 We developed a powerful tagline with swagger: This is how we mortgage! The voice of the brand is direct and confident; witty, honest, and passionate. Bold fonts, unique illustrations, and a fresh color palette brought the new brand to life. Our team created brand guidelines, magazine ads, landing pages, an updated website design, email templates, and numerous pieces of collateral. We also designed and sourced T-shirts, trade show and office signage, branded promotional items and much more! The big brand reveal got roaring, companywide cheers and applause… and great feedback from myCUmortgage partners! United now in a fresh, bold, direction, the myCUmortgage team couldn’t have been more pleased with the outcome.